Carbon dioxide is released when soils are cleared, cultivated, and tilled. Growers can use “improved methods of weed control and no-tillage planting techniques,” Bardhan says, to reduce this release. Wetland restoration on the edge of farm fields can also pull more carbon dioxide out of the atmosphere, and store the carbon in the soil. To reduce nitrous oxide emissions, agronomists are researching ways to grow foods with fewer fertilizers, including those with nitrogen. Cover crops that naturally add nitrogen to the soil and crop rotation are part of this effort. Precision agronomy is another method. “New high-tech instruments help growers only apply fertilizer where it is needed, resulting in less fertilizer use, which saves them money and helps the environment,” Bardhan says. Methane is mostly released in two ways. The first is in rice fields. Agronomists developed improved rice production methods to reduce the time needed for soil to be flooded. This reduces the amount of methane produced. Crop breeders have also developed a low-methane rice breed. The second way methane is released is directly from farm animals. Changes to animal diets are important here. 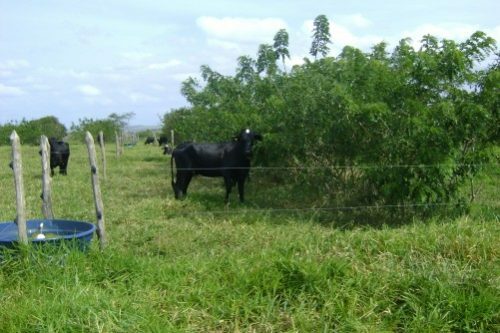 In addition, grazing animals on land used for growing crops, silvopasture, also reduces methane production. “By implementing better management practices, it is possible to reduce the level of greenhouse gasses in the atmosphere,” Bardhan says. To read the complete blog, visit Sustainable, Secure Food at https://wp.me/p9gkW1-2n.